A Rocky Top Teacher: Spreading Christmas Cheer...with a Giveaway! LAST FALL, my adorable soon-to-be-aunt made me a pencil scarf. I fell in love with it and wore it everywhere. I begged her to make me one to give away on my blog and then life kinda got in the way. 'Cause that happens. Life happens. Stuff happens. So..the good news is that THE TIME IS HERE for me to give away this adorable gem to one of you just in time for the holidays! Think of this as a sweet little teacher-y Christmas present from me to you. 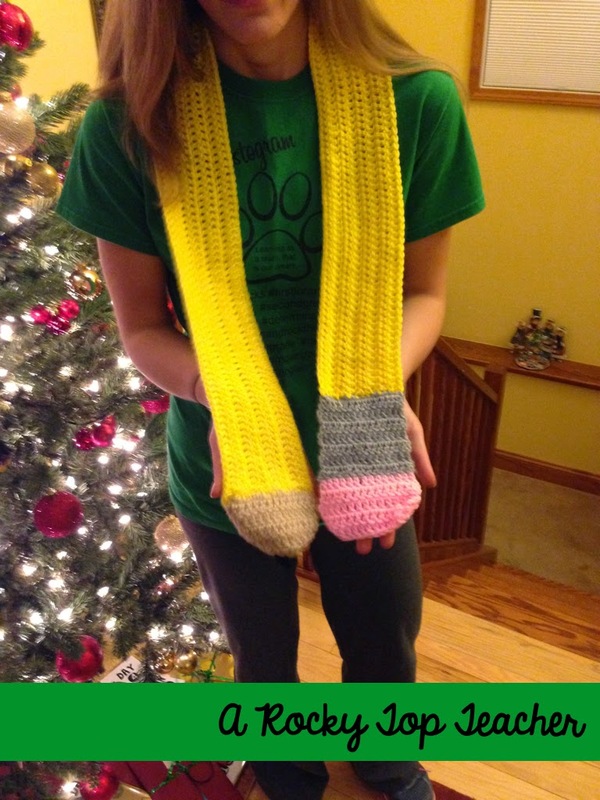 Because I love you, and you DESERVE a cute scarf! The length is perfect to wear in so many ways. It is long enough to be wrapped, too! You will seriously be the coolest teacher out there when you wear this. We can be twins, now. I totally wish I could be Oprah right now and do the whole "You get a scarf, and you get a scarf...Hey! Everyone gets a scarf! ", but that would take a lot of yarn and my dear aunt may not like me anymore. So....make sure you enter the Raffelcopter below. 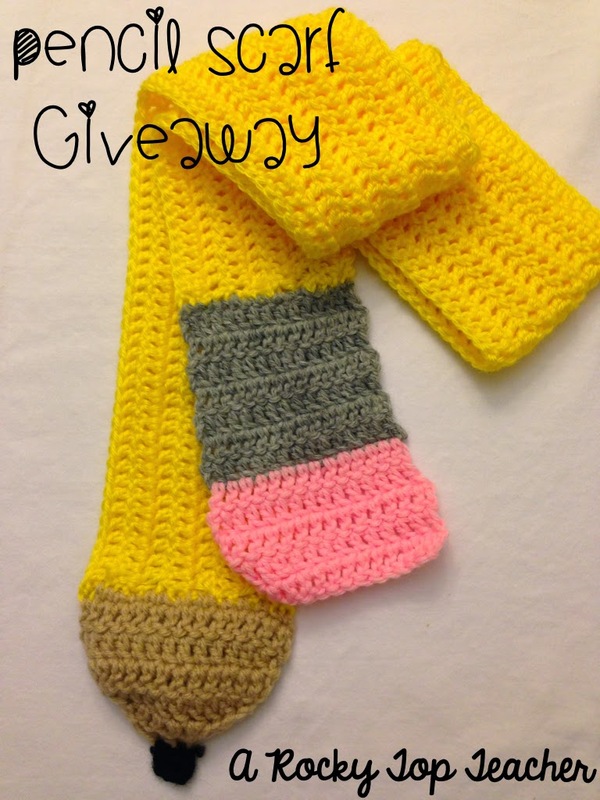 I will pick a winner December 7th and get this cute winter accessory in the mail to you pronto! 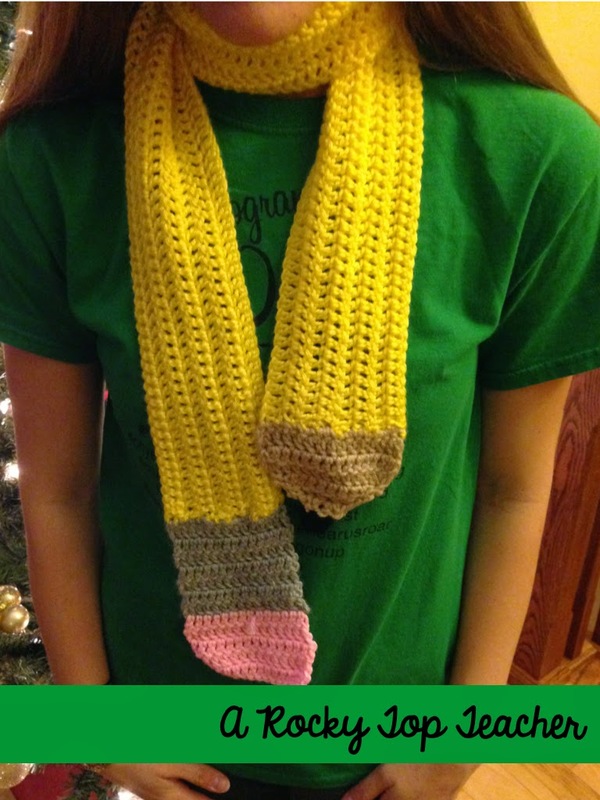 That pencil scarf is too cute! 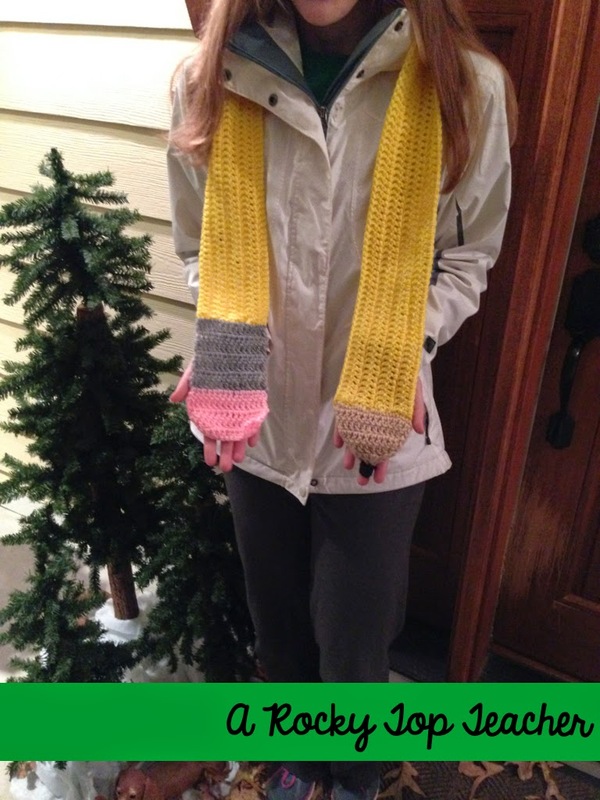 Perfect for cold weather! This is such a cute scarf! Too cute!!! I wish I still remembered how to crochet. I'd love to win the scarf, but in the chance of not winning, is there a template available to make my own? That scarf is awesome! Thanks for the giveaway! This is adorable and I wear scarves ALL the time. I would love to win this. Thanks so much for the opportunity and happy holidays. Scarves are my styling weakness! Happy Holidays to you as well! The scarf is adorable. Thanks for the giveaway. I love this scarf!! Thank you for such an awesome chance to win!! That is the cutest scarf. Ever! Thank you! I was in love the second I opened the package in the mail! I've never seen anything like it! And that's a good thing! It's super cute! So glad! Thanks for entering! Cute scarf and will get the kids talking.............yeah. Yes, it will! It would be a great instructional tool or hook to a lesson! This is adorable! I would love to wear this on our freezing cold days!! It is sooooo cold in Oregon right now!!!!! Thanks! I bet it is cold up there. We are hanging on to the 50's here in East TN! The scarf is so adorable! I love it!